The digital collection WWI Military Portraits is part of the digital image collections of the Milwaukee Public Library. The collection contains 33,000 items (photographs, typewritten volumes, and service records). There are some 6,000 photographs. The items were complied from collections of the American War Mothers Milwaukee County Chapter and the Milwaukee County Council of Defense. You can browse all items, filter the results using the free text search or using the subject filter. In the advanced search mode you can add search fields at will. Some items refer to the Canadian and Polish armies. The digital collection American war posters from the First World War has been created by the Bancroft Library, University of California at Berkeley. The collection contains nearly 170 posters created in the United States between 1914 and 1919. This digital collection is not directly available at the website of the Bancroft Library, but instead it can be viewed both at the Calisphere digital portal and in the Online Archive of California (OAC). The Bancroft Library has also digitized 68 British posters from the First World War (Calisphere; OAC), some 75 Canadian First World War posters (Calisphere, OAC), and 26 French posters and broadsides from this period (Calisphere, OAC). Both Calisphere and OAC offer a free text search within the collections. OAC allows also searching in the collection guide for non-digitized items. At Sheet Music from Canada’s Past, another section of the portal Collections Canada, you can search for items created during the First World War era (select 1914-1920). 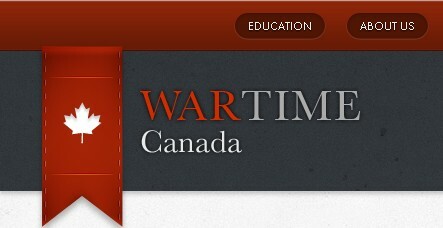 Searching for the subject World War 1914-1918 brings you to nearly 200 items. The virtual exhibition World War I Songs has been created at McMaster University, Hamilton, Ontario, and curated by Adriana Brook. This collection contains 125 songs from Canada in English, 80 of them dating from the First World War. A gallery shows all photographs of the sheet music of all songs. Many covers are illustrated. The songs are accompanied by a complete overview of the lyrics, an analysis, and a bibliography of relevant literature.